Send Doug Routley an email. 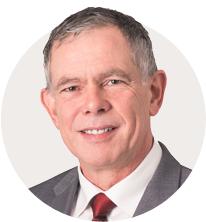 Doug Routley was re-elected as the MLA for Nanaimo-North Cowichan in 2017. He served as MLA for Cowichan-Ladysmith from 2005 until the riding boundaries were re-drawn, and was re-elected in 2009 and 2013. Doug served as the Official Opposition spokesperson for Citizen Services and deputy spokesperson for Forests – Forest Futures. He previously served as Opposition critic for skills training. Doug was born May 9, 1961, in New Westminster, B.C., and grew up in Duncan, B.C. He understands the unique challenges and opportunities of life in the region, and his diverse experience gives him a very close and practical grasp of what his constituents care about and how their needs can best be met. He comes from a family of educators and attended the public schools of the Cowichan Valley, then Camosun College, before travelling to Japan, where he lived and worked for one year. Doug’s close friendships and connections to the Cowichan First Nation people began as a boy playing road hockey and attending school with his friends from Cowichan. He has continued building on that connection in politics, first as a school trustee and now as MLA. Doug’s work experience is diverse and gives him a very broad understanding of so many of his constituents’ lives and challenges. Doug has experience in construction and in logging, having worked as a sawmill worker and treeplanter. He also has been a business owner and operator, school custodian and school trustee. While in Japan, Doug taught English and studied Sumea, traditional Japanese ink painting. He was a bicycle racer and while training in Japan, met a bicycle manufacturer. After his return to Canada, Doug established a bicycle retail and wholesale company which had dealers throughout Canada and the U.S.
Doug’s diverse background in industry, business, labour and politics gives him the understanding that working together cooperatively is the key to success. Doug has two daughters, Sasha and Madeline.